Solar energy has become the biggest enemy of fossil fuels in modern times. Given its green credentials and falling costs, it has now become very competitive with traditional sources of power. But in India, solar power is helping the fuel pump stations in a big way. 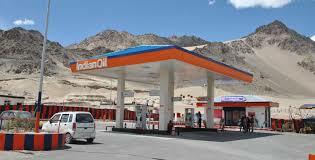 Many petrol pumps in India have installed solar panels which are driving their sales. These petrol pumps which lost almost 10% of their sales due to frequent power cuts are now utilizing electricity generated from the solar panels during power interruptions. It is not only environment-friendly but has also become economical to install solar panels. Running diesel generators is more expensive and polluting. Solar came in as a great substitute. Leading petrol pump retailers like Hindustan Petroleum, Bharat Petroleum, and Indian Oil Corporation are using solar energy at their petrol pumps. Frequent power cuts in few states and districts in India would mean a loss of business for these outlet chains. Not every customer would want to wait for a diesel generator to be set in motion and get fuelled. This pushed these fuel retailers to decide to go independent of the grid. Installing solar panels have helped the petrol pumps generate more business even at times of a power cut. It saves valuable time of a fueling boy on starting a generator or calling the grid power supplier’s office to correct the fault. These petrol pumps are already experiencing the benefits as their electricity bills have dropped and there is better operating efficiency in terms of cost and time saved. These companies can recover their investment in just 2-3 years’ time. In fact, Indian Oil Corporation has a target of installing 10,000 solar powered fuel stations by end of 2018, on the 24,000 stations that it operates across the country. The company will not only be less dependent on the grid but would also free up electricity to be used by nearly 60 odd households in rural India. The fuel companies in India are also eyeing electric vehicles, and other renewables business as sustainable energy gains traction in India. The country has pledged that 40% of its electricity would come from non-fossil fuel based sources such as wind and solar power, by 2030. Other than installing solar plants on their rooftops, these companies are looking at setting up EV charging stations and opportunities for manufacturing and retailing lithium-ion batteries, in order to diversify into renewable energy. Is there any tax benefit for such commercial establishments after installing solar?